Everyone seems to possess some degree of Psychic powers and intuition. In general, intuition is considered as an inner guidance system which may be communicated and manifested itself via a wide variety of spiritual powers. Someone might be strongly blessed with one of these intuitive powers whilst others could own many available to them. Thus, it is not hard to understand the reasons why some individuals just listen to their intuition on occasion whereas others decide to increase their Psychic abilities fully in order to become the professional readers. 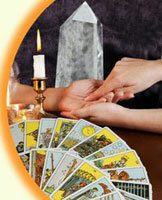 You may care, How Does a Psychic Reading Happen? When it comes to making use of extrasensory capabilities professionally, there will be several fields of expertise or specialty. Like in medicine, there shall be many different forms taken by a medical practice. In fact, spiritual readers are just the general name used to call those who are gifted with the Psychic capabilities. These holy readers can be Psychics who can perceive something hidden by their inner minds, Fortune Tellers who may foresee the near future of someone or even Clairvoyants who might read the aura of humans, items, or animal. Are Spiritual Readers Real? Click for the answer! The following list will help us to understand more about these advisors and their specialization. Automatic Writing: A reader who has this ability can write the messages of guidance and wisdom from the higher realm of consciousness directly transcribed in writing, either typed or handwritten that will not originate from the conscious mind. Channeling: It is known as the capability of receiving some information from the higher guidance. Hence, the one who carries out the channeling process tends to deliver the messages via speaking or even writing. Clairaudience: The seer who owns this power is able to hear the messages from higher realm, and such messages could be internally heard in the mind (a form of Telepathy), or by the ears. Clairsentience: It is a special ability to pick up emotions and energies from humans, things, or places, often known as empathy. A clairsentient reader will be regularly listed as an empath. Clairvoyance: Actually, clairvoyance is a French word with the meaning of “clear seeing”. An individual who is endowed with this power can see visions to obtain the visual impressions and images through the “third eye” or “mind’s eye”. Dowsing: When it comes to this capability, it is the use of a dowsing tool (a pendulum) to locate gold, water, oil, missing or lost items, or even to answer some unexplained queries. Believe it or not, the pendulum is actually an exciting tool to help the reader to access her own intuition in a way clearly felt and seen. ESP: To be also considered as extrasensory perception, this ability allows a reader to receive some information beyond her 5 normal senses, but truly involve utilizing these 5 senses in the heightened channel in combination with the 6th sense of intuition. Intuitive: The reader is partly able to access the higher information and advice by the use of the highly developed intuition. Medical Intuitive: One who has this capability will specialize in the issues of disease and health in others’ bodies. Medium: It is worth pointing out that anyone who is blessed with the ability to get in touch with the spirits of the deceased over to the other side will be called Mediums. Psychic Detective: This advisor might choose to work with resolving crimes or some cases of missing people, objects or animals. Psychometry: Consulting a person who own Psychometry power, and we will find it easy to recognize that she is able to receive information and details from the energy of photographs, objects, or areas via clairsentience. For further information about this subject “Spiritual Readers“, feel relaxed to show your concerns by writing them in the contact form now!